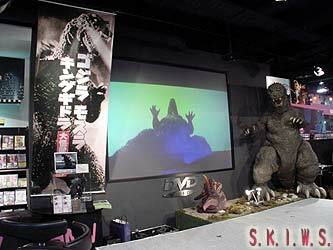 One of the largest CD/DVD stores in Tokyo, the HMV in Shibuya staged an event to celebrate the coming of GMK. 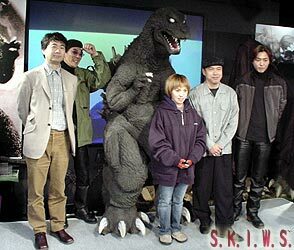 Held on Sunday, December 2, 2001, guests included Shusuke Kaneko, Shogo Tomiyama, Ryudo Uzaki, Rie Ota, Shingo Katsurayama, and Yukijiro Hotaru. 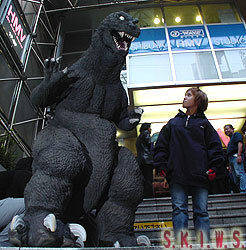 The show began with a large GMK promotional suit lumbering down the crowded streets of Shibuya. 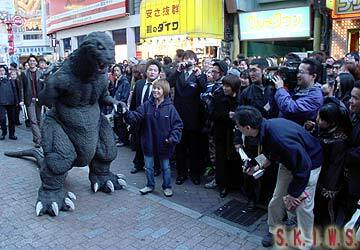 Walking hand in hand with Baragon actress Rie Ota, the two wowed many unsuspecting shoppers. 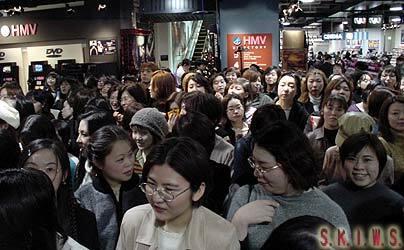 Upstairs in HMV’s event space, fans crammed to listen to the guests talk about the upcoming Godzilla production. 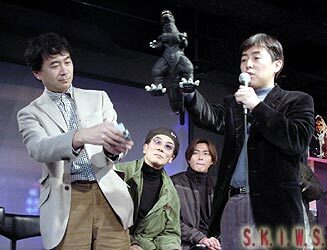 Before the show wrapped, audience members took part in a Godzilla raffle. Prizes were handed out by the day's speakers.